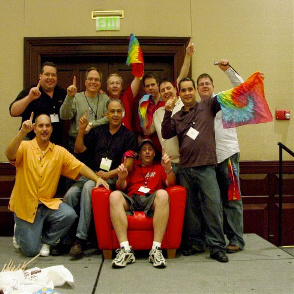 We can host a GPS navigation team building activity anywhere in the US. New York City, Raleigh, Boston, and many other cities. We can come to you! 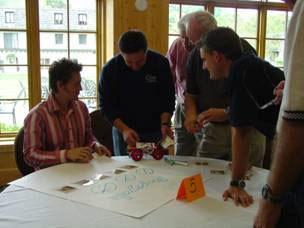 Ultimate Treasure Hunts, LLC, has been designing and facilitating unique problem solving activities for building teams based on navigation and maps since 1992. Originally focused on the competition aspects of orienteering, the programs have developed into a customized event for all ages and abilities. We integrate GPS and text message interaction and design scavenger hunt races. Maps, controls and set up can be done the day before your event and scaled to fit your meeting or off site plans. We have challenges to fit an hour or a full day. The basic premise of finding objects in the landscape has been modified to include indoor venues, as well. Participants find clues in museums, conference centers, and hotel venues and do not need to run through a forest to benefit from the interactive team building activity that it creates. Physical Ability should never be an obstacle to constructive play. We work with Human Resources and your trainers to develop a program to fit your needs for sales, leadership, communication and change. A perfect activity for conferences and off sites, an Ultimate Treasure Hunt can also be just plain fun and will give your people an opportunity to build leadership skills, develop relationships that strengthen the company, and challenges your employees to reach new goals. We have exciting options to fit your outcomes. Contact us, today, for a conversation about how an Ultimate Treasure Hunt can work for you. communication exercises, celebrations, mergers, employee gratitude events, Leadership conferences and more…….